A series of programs scheduled in February and March will look at the impact of the Civil War on North Carolina, and how the state’s role in the Confederacy plays out today in the ongoing tensions surrounding the monuments of that war. UNC Charlotte’s Atkins Library and the Department of History in the College of Liberal Arts & Sciences, along with the Charlotte Mecklenburg Library’s Sugar Creek Branch, will present “Beyond the Myths: The American Civil War in History and Memory.” This series of events is designed to shed light on the current controversy surrounding Confederate monuments and provide factual historical information about North Carolina’s role in the Confederacy. The project features five events scheduled between Thursday, Feb. 21, and Wednesday, March 13. It is made possible with support from the Chancellor’s Diversity Challenge Fund, Atkins Library, the College of Liberal Arts & Sciences, and Charlotte Mecklenburg Library. Paul Escott, Reynolds Professor of History Emeritus at Wake Forest University, will speak on North Carolina’s role in the Confederacy—the history, controversies and resistance. He will contrast the history with the myths and discuss the history of the Confederate monuments in North Carolina. Escott is an authority on North Carolina’s history during the Confederacy and is the author of numerous books and articles on the topic. RSVPs requested – Register here. Join North Carolina genealogist and former Atkins librarian Donna Gunter as she discusses how to search family histories. Gunter will share her personal genealogy history as a descendant of the North Carolina Shelton family. The Shelton family is noted in Western North Carolina for theShelton Laurel Massacre, the January 1863 execution of 13 of its members. Confederate Officer James Keith led the execution of the boys and men who ranged in age from 12 to 63. The 64th North Carolina Regiment carried out the execution. Marcellaus Joiner, an African American genealogist and librarian, will conduct this genealogy workshop for African Americans. African descendants face distinct challenges when trying to uncover their ancestors’ stories. This class covers the basic steps for getting started on the journey. Joiner is a librarian at the High Point Public Library’s Heritage Research Center and is the archivist for the High Point Museum. “Free State of Jones,” a 2016 movie starring Matthew McConaughey, is based on the true story of Mississippian Newton Knight as told in the book written by historian Victoria Bynum, a Knight descendant. 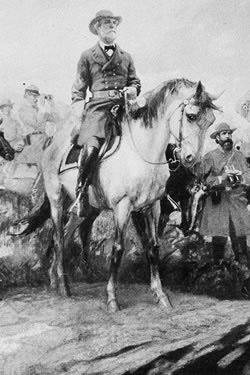 Knight was a Southerner fighting as a Confederate soldier when he tired of fighting a “rich man’s war,” deserted and formed his own alliance against the Confederacy. Charlotte Mecklenburg Library historian Tom Cole will introduce the film and discuss its historical significance. Join UNC Charlotte Professor of History Karen L. Cox as she leads a discussion on the history, controversy and future of Civil War memorials in a panel presentation, “Commemorating the Confederacy: History, Memory and Meaning in the 21st Century South.” Scholars William Sturkey, assistant professor of history at UNC Chapel Hill, and Hilary Green, associate professor of history at the University of Alabama, will participate in this panel. RSVPs requested – Register here. Dr. Green’s research interests lie in the intersections of race, class and gender in African American history. She also specializes in the American Civil War, Civil War Memory, Reconstruction and the United States South. She is the author of Educational Reconstruction: African American Schools in the Urban South 1865-1890, and she is currently working on a book about how African Americans remembered and commemorated the American Civil War. The March 13 event at UNC Charlotte’s Center City auditorium is the culminating event in the Beyond the Myths: The American Civil War in History and Memory series. More information, including related readings and lesson plans, is on the Atkins Library website for this series.